Are you an honorably discharged veteran of the U.S. Army, Navy, Marine Corps, Air Force or Coast Guard? If so, you’re eligible to shop online and save money—for the rest of your life. 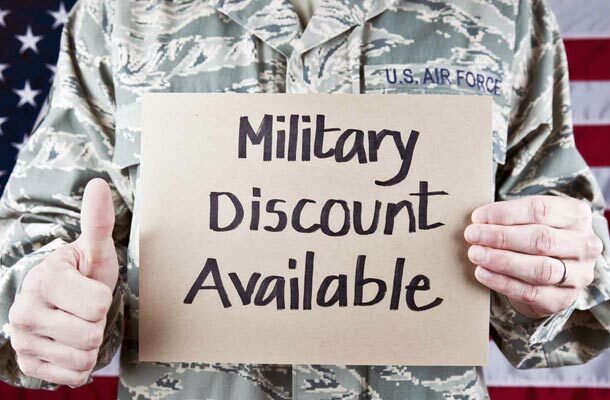 The Exchange, the Department of Defense’s (DoD) oldest and largest military retailer, wants all honorably discharged veterans to know they have this lifelong online military exchange shopping privilege. Those eligible also include honorably discharged veterans of the Air Force Reserve, Army Reserve, Navy Reserve, Marine Corps Reserve, Coast Guard Reserve and National Guard. Approved veterans can shop the online exchanges, including ShopMyExchange.com, with tax-free buying power that applies to everything from clothing to electronics–and more. Need more life insurance than just SGLI? Looking for options other than VGLI to protect your family’s financial future? Many military veterans—active duty, transitioning, honorably discharged and retired veterans—don’t know they are eligible to apply for affordable life insurance from USBA. This life insurance for veterans is underwritten by New York Life Insurance Company and designed specifically for the needs of active and honorably discharged veterans. This military life insurance protects your loved ones while you’re in the service and after you separate. Remember, your SGLI runs out 120 days after you leave the service. Affordable group life insurance from USBA is portable and yours to keep wherever life takes you. Even retired veterans and their spouses can apply. Learn more about USBA group life insurance plans.